In the late 90’s, a young indigenous man with ill-fitting shoes and shirt arrived at the headquarters of the Foundation. He was perspiring heavily. We were astonished when he told us that he had been told by his spirit guides to look for us to help him bring his group of Cabecar Indians into the modern world while at the same time, helping them to preserve their traditional customs and language. The Foundation works constantly on improving the Indigenous people’s life. Through health centers, education and monetary contributions. We took on the challenge and began what was to become a long standing relationship of mutual respect and caring. We began our visits to the area on a three month basis but soon began to visit every month. Volunteers started by providing much needed food and seeds for the people. Some volunteers saw that many of them had never seen outsiders, had never been to group meetings and had never had access to education or health care. 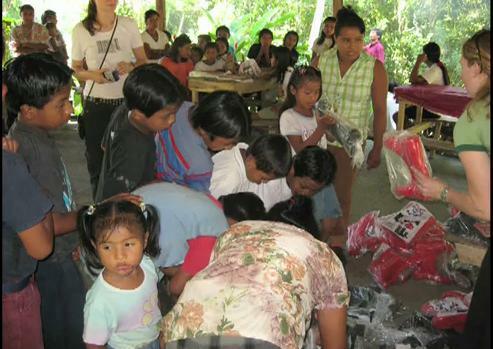 We provided for them with clothing, education sessions, classes for the children, began to teach them about birth control and supported their efforts to make a public school for their children. The Foundation supported their local kindergarten by paying a local woman to teach the small children in Cabecar. We talked to them in Spanish, but always made sure that there was a Cabecar translation. When we saw that they knew how to make the traditional cloth from bark, we began an extensive arts program with the women and taught them to make products from their bark cloth and to weave belts and purses. In addition, we taught them to knit and to crochet. To honor their son who lost his life on a rappeling accident Lucas Drummond’s family donated the funds to create a Cultural Educational Exchange center. It is used for housing for volunteers and educational activities hosted by Jeni, her husband Leonel and the women’s cooperative. In 2008, the Foundation received a grant from the Dutch embassy and built a hanging bridge over the often flooded river. With this construction, we were able to help the people have fewer illnesses as they no longer had to get wet crossing the river. We then built a community education and cultural interchange center in which the women now greet visitors. Their program includes cultural education classes for visitors where we learn things like how to plant seeds using a stick, how to cook plantains, how to carry babies with a cloth and how to make traditional dies and medicines. The women are now running this program almost independently and have organized themselves to teach each other the different crafts. Through this education program, we hope to send the message that the indigenous have much to offer us and that they can perceive themselves as true stewards of the earth. We make constant efforts to eliminate the feeling of charity and victimization that often accompanies outside help. 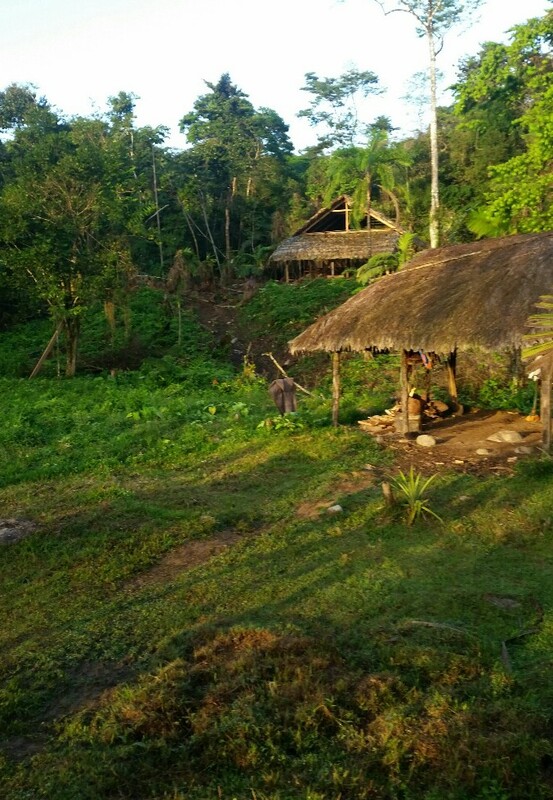 We later began to work with another small community of Cabecar indigenous across the bridge from our cultural/education center. It is an easy 40 minute walk from the center to the one room schoolhouse and we are happy to say we helped to pay for the construction of the first school lunchroom in this school with a donation from our Canadian high school friends. We also helped to provide educational materials and supplies to the school, pots for the lunchroom and a whiteboard for the classroom. 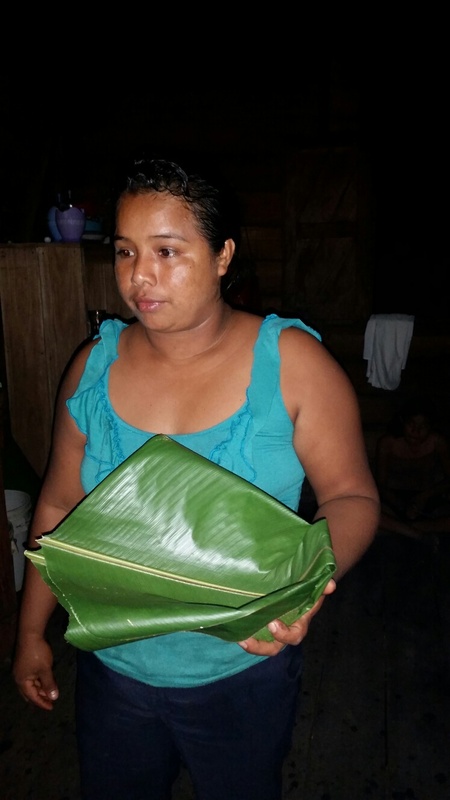 Cabeacar leader, Jeni Segura won a the Women’s World Prize from a grant we wrote for her. She is one of only ten women worldwide who won this prize! Our future plans on the reserve include the construction of a “mother clinic” which will be run by the Costa Rican medical system. This clinic will be a large facility that will have exam rooms, dental clinic, room for doctors to sleep in, a room for birthing and an educational center. We will use the facility to provide medical and educational care for the people. Once this construction is complete, we hope to then make smaller clinics in each of five communities where doctors will visit on a weekly basis. We have begun the construction of the first clinic and the land is being prepared for the first construction materials to be delivered within the month of April. We hope to open up the visitors program to other groups, such as cruise ships or adventure tourists. This way, the women will be able to continue to earn income from the sale of their crafts and will be come more self sufficient.